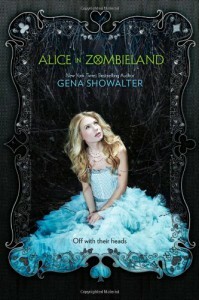 Alice in Zombieland is a book I've been looking forward to for a long, long time. I finally grabbed it on audio, not being able to put off the idea of Alice in Wonderland/Zombies any longer. What I got was quite a bit different than anything I was expecting. First of all, the things that rubbed me the wrong way... The title is misleading. As is the cover. And any ideas of a white rabbit. Also, the chapter titles relate to Alice in Wonderland, which throws you off... because this book has no correlation to our favorite fantastical classic. So be warned. Alice in Zombieland is not some dark and modern retelling of Alice in Wonderland with the walking dead thrown in the mix. 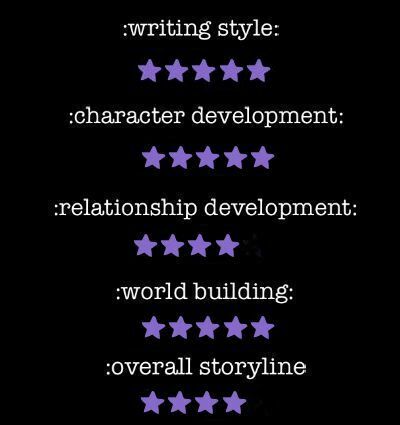 I was pretty disappointed as the book went along and realization struck, but the story came into its own, and even though my expectations were slaughtered, I found that I enjoyed the book anyway, once I got past the idea that I was getting a retelling. Also, the zombies. These zombies have very little in common to the ones we have all become familiar with. At first I was like, WTF? !, but again, as the story went on, these zombies led to a more complex story with tragic futures, complicated pasts, and present betrayals. I guess it would be fair to say that Gena Showalter took everything we expected from this novel and completely turned it upside down, first slapping you in the face, then soothing your pain with the beauty of her originality. The whole Alice in Wonderland references are still weird to me, and even though listening to this novel had a lot of ups and downs for me as a reader, in the end, I ended up loving it. Everyone is obsessed with Cole Holland. He's alright. I liked his fierce and mysterious persona and his ability to understand Alice's stubborn and curious side, but he was just so sudden that I couldn't believe him. The attraction and obsession between Cole and Alice was instant, and Alice's gushing was over the top at times. I get it. Cole's purple eyes are gorgeous and his dark hair and muscles are touch-worthy, but seriously girl? Get a grip. Alice was a little naive when it came to Cole, and her ability to completely delude herself from the truth of his obvious feelings could be annoying. That's another thing I liked about Cole ~ he told her the same thing...in so many words...snapping her out of her insecure doubts. I say insecure, which is how Alice began, and it's understandable I guess with all that she's been through. But she is strong and her courage is unwavering even in the face of uncertainty, and those are qualities you can't help but admire. As she learns more about this very real world she always thought was a figment of some convoluted imagination, she comes into her own, doing what she has to do, even if it's the most difficult things she's ever had to face, to help the one's she loves. 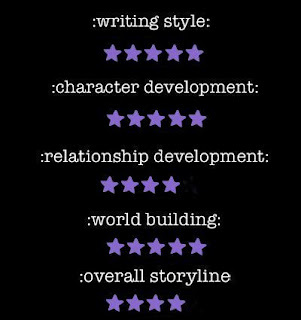 The characters were well developed, each distinct and bringing something different and dynamic to the table. The side characters weren't left in the dust either, which is something that I've noticed can happen with all the drama happening between the main characters. Kat was probably my favorite. As Alice's best friend, Kat is completely opposite of her in every way, throwing some interesting connections into the mix. Even with an ego the size of Texas, you can't help but love Kat. Gena Showalter's writing style, as always, is amazing and her world building rocks. She brings together a combination of humor, drama, tragedy, and hope, keeping readers focused not only on their emotions but on what may be around the next page. Although Alice in Zombieland wasn't what I expected ~ in more ways than one ~ I couldn't help but fall into Alice's world and become completely entranced. The book forced me to keep listening, despite my doubts, and I'm very glad that I did.